We met Gail and her boys at the beach club yesterday for lunch. We'd planned to show them our new house, but their schedule was too tight. 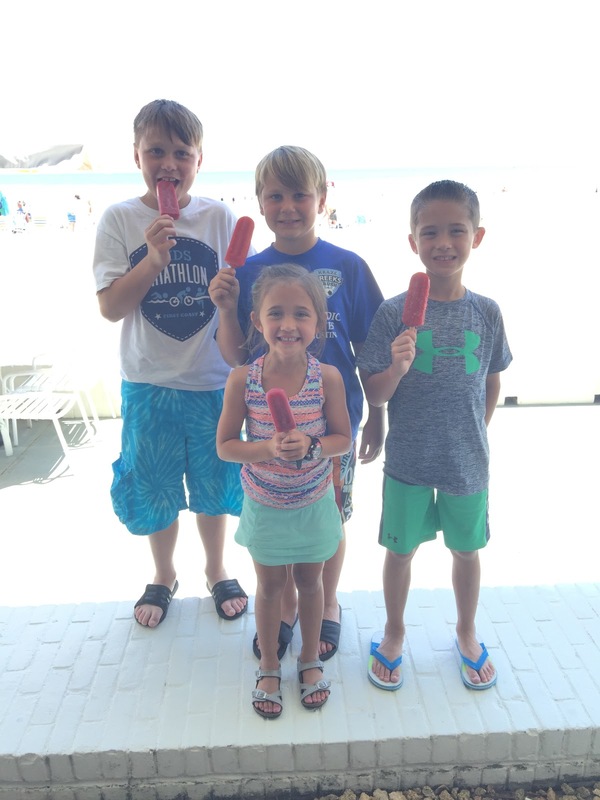 It was nice to have company for lunch though and the kids also enjoyed some Hyppo pops afterwards.